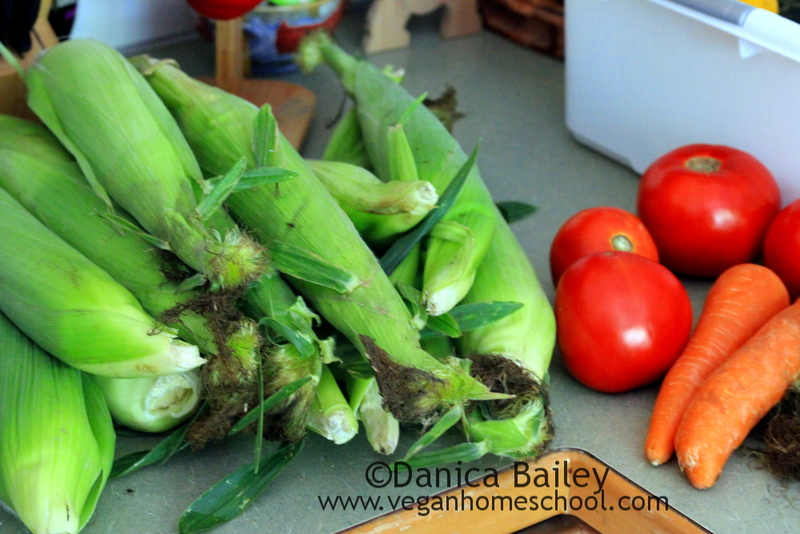 The weekend before last I went to the local farmer’s market and scored some gorgeous local veggies and herbs. I got a dozen bi-color corn, a dozen white corn, organic kale, tons of tomatoes, carrots, basil, catnip for Gryphon, and patty pan squash. In the basket is some yellow squash and zucchini from a man at my husband’s work. 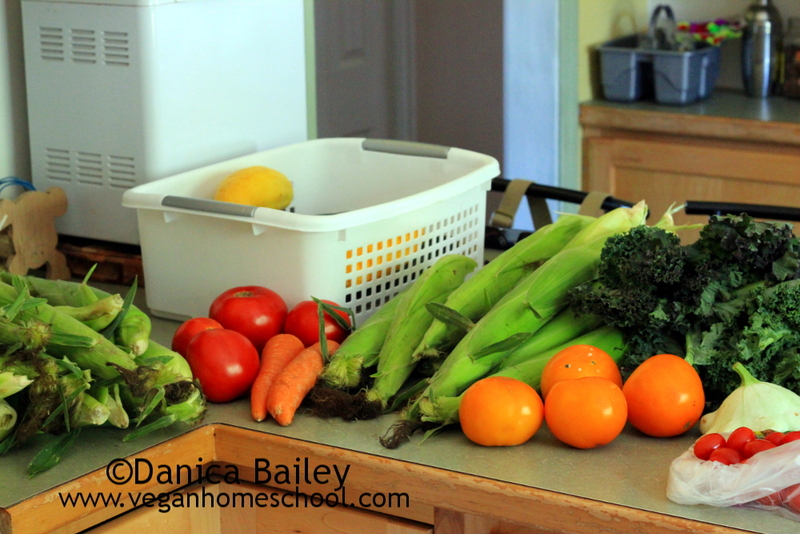 So I know tomatoes aren’t a veg, but here’s a closeup of some of the goodies from my haul. Aren’t the colors beautiful?! :sigh: I love fresh food. 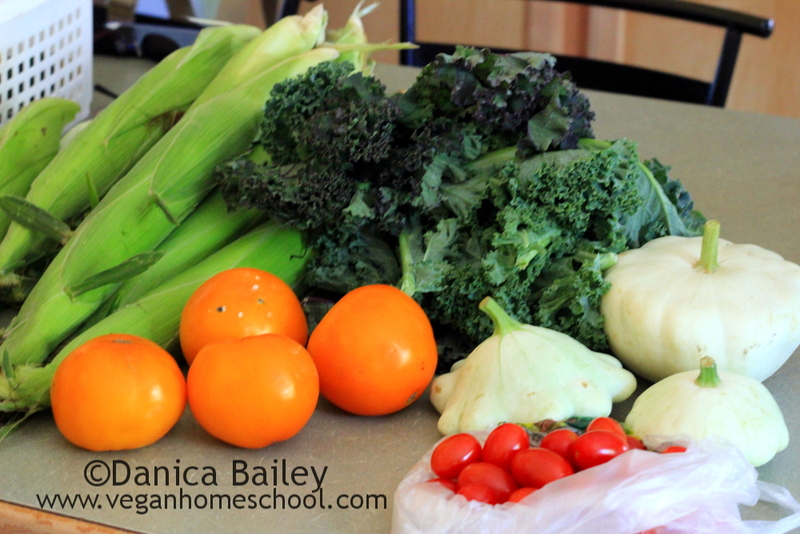 Here we have the organic kale, squash, corn and some really pretty orange tomatoes. We’ve had a bit of everything already. It is sooooo yummy! I have the corn in the freezer for winter. I leave it in the husk and just throw it in a paper bag. Voila! How easy peasy is that?